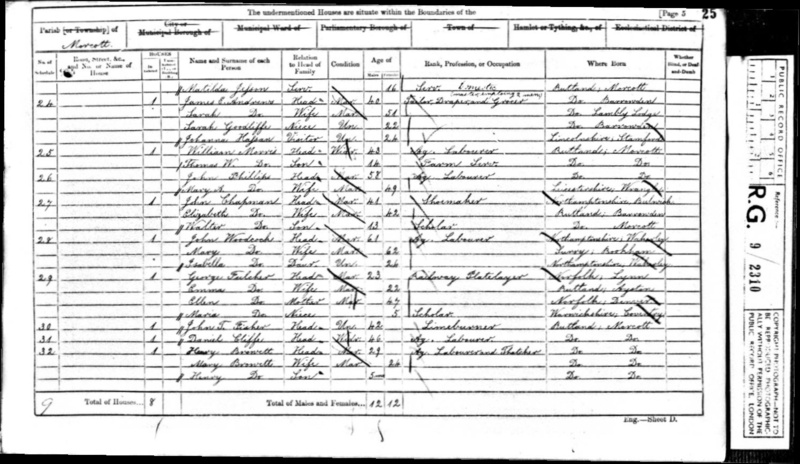 Sarah Goodliffe was born November 7th 1809 in the family home of Lambley Lodge near Belton in the County of Rutland. She was the youngest child of Thomas and Mary. 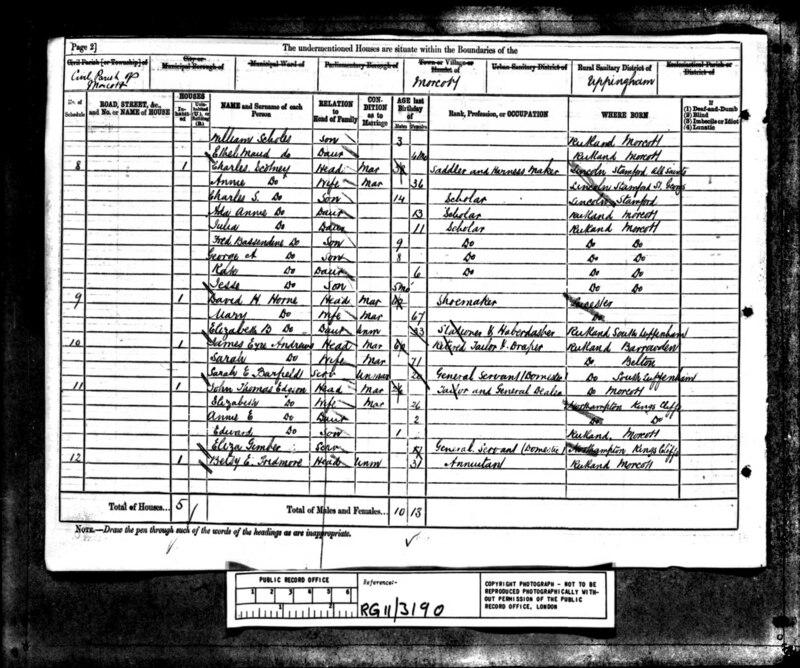 Sarah married James Eyre ANDREWS in September quarter 1844, registered at Uppingham. From Arnold's Memoirs - "... Rather late in life than many she married a Mr James Andrews, who commenced business as a tailor and general dealer at Morcott". 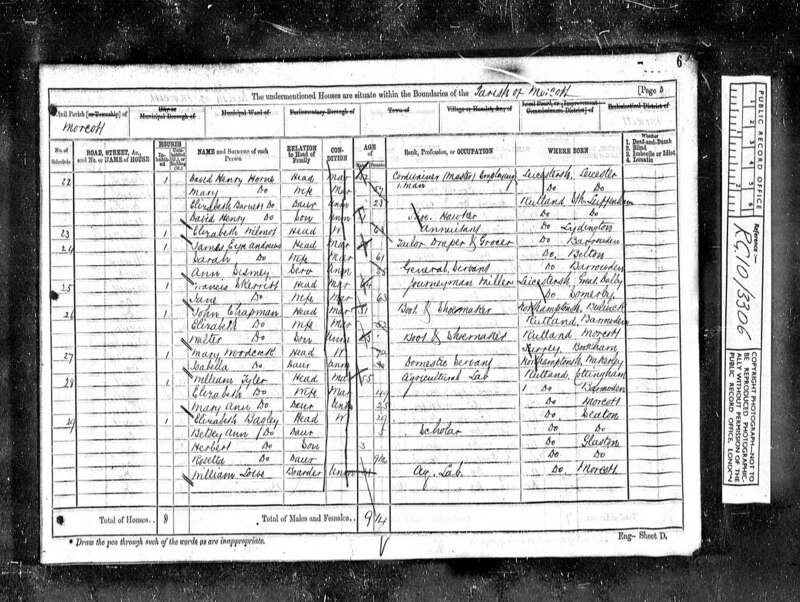 In the 1841 Census, Sarah is living with her mother Mary, at Barrowden. 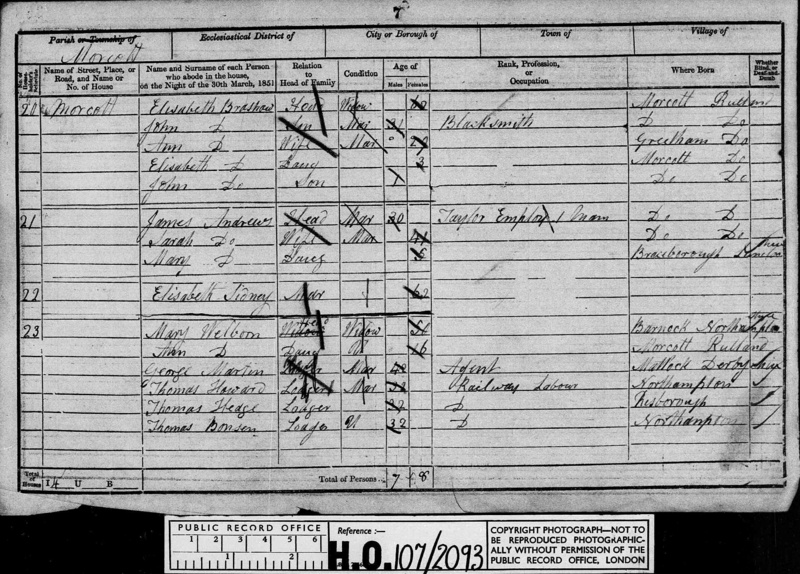 In 1851 James and Sarah are at Morcott, James listed as "Draper employing 1 man". With them is daughter Mary (5) who was born at Braceborough, a small village a few miles northeast of Stamford. In 1861 they are still at Morcott, James is a draper employing 2 men. With them are Sarah Goodliffe (22, niece) and Johanna Hassan (24). Johanna later married William Goodliffe, Sarah's nephew (son of James and Elizabeth). 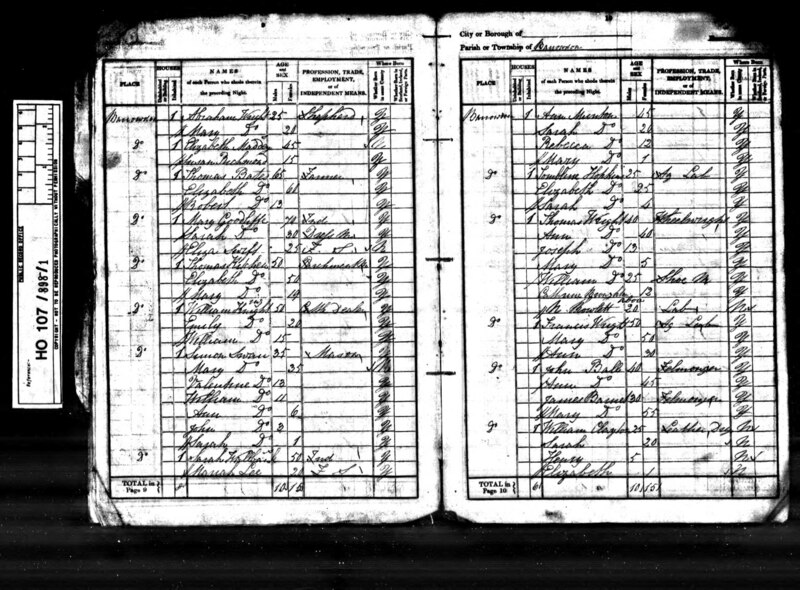 1871& 1881 Census - James and Sarah are at Morcott. Sarah died in Morcott 22 July 1885. James died in Sep qtr 1891. They are buried beside the small Baptist Chapel at Barrowden.